Yesterday, while being in the process of converting my one of my apps to UWP, I was moving a lot of the functionality of the app menu to a SplitView. Microsoft have really gone out on a limb as far as samples are concerned, so I was following the SystemBack sample, which has really little code in it. How hard can it be, right? And yet, this method gets only called on the second back button press. The solution? Read back a little. It's one of those mental leaps you sometimes have to make as a developer. It turns out that the exact method Navigation_Click works flawlessly when the button calling the method is not on a SplitView. Somehow, some way, having a SplitView open messes up the navigation back stack. Code used in this post can be found here. Special thanks to Scott Lovegrove and the other people from the Open Live Writer team for making this post possible – it’s the first one using Open Live Writer that now supports blogger – right after Google shut down the outdated web api endpoint that Live Writer still used. Thank you all folks! The geometry type used to support Geopath only (even if you wanted to draw just a MapIcon). Now you can use a BasicGeoposition for MapIcon, a Geopath for MapPolyline or a 'normal' MapPolygon, and an IList<Geopath> to create the new type of polygons-with-holes that I mentioned earlier. The EventToCommandMapper is renamed to EventToHandlerMapper; now it can not only call a command, but also directly a method of the view model. This is to align with the way x:Bind introduces calling direct events as well. Speaking of - x:Bind to the MapShapeDrawBehavior's ItemSource is fully supported, although that's 99% thanks to the platform and 1% to my coding. 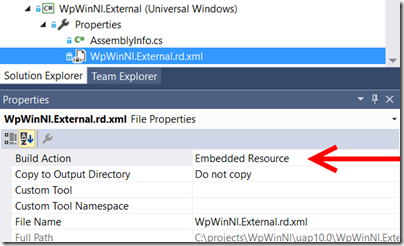 Create a project, add the WpWinNl NuGet package to it. This will pull in the WpWinNlBasic package as well, as well as - of course Microsoft.Xaml.Behaviors.Uwp.Managed, and Rx-Linq because I use that to dynamically react on events. These are basically still the same, but I will repeat them here for your convenience. Typically, maps are divided into layers. You can think of this as logical units representing one class of real-world objects (or ‘features’ as they tend to be called in the geospatial word). For instance, “houses”, “gas stations”, “roads”. 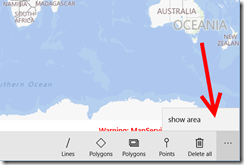 In WpWinNlMaps, a layer translates to one behavior attached to the map. ItemsSource – this is where you bind your business objects/view models to. EventToCommandMappers – contains a collection of events of the map that need to be trapped, mapped to a command or a method of the bound object that needs to be called when the map receives this event. 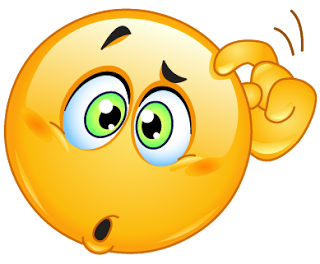 Presently, the only events that make sense are "MapClicked", “MapTapped” and “Tapped”. 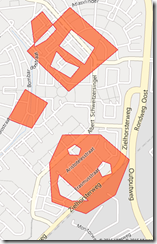 And I recommend you use MapElementClick as that provides the least overhead and is the preferred new event. The other two will work too. Any other events, how valid they might be, are ignored. 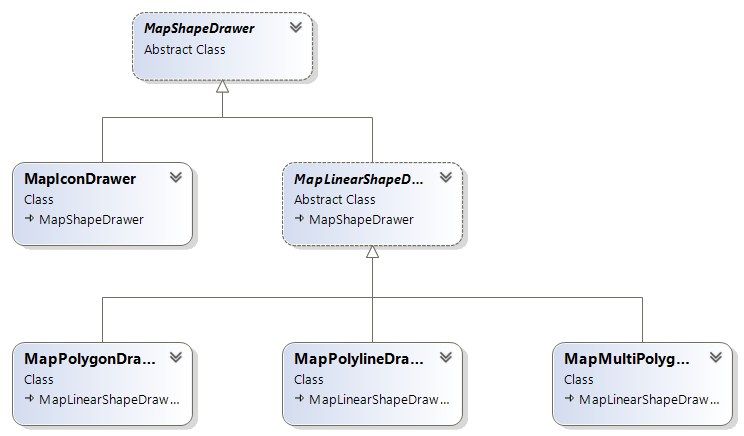 I use this as a base class for all types that I bind to the MapShapeDrawBehavior to provide an easy base for event handling. CollisionBehaviorDesired - the CollisionBehaviorDesired of a MapIcon. See also here. In addition, all drawers support a Z-index property. Be aware this binding method respond to changes in the list of bound objects - that is, if you add or remove an object to or from the bound list, it will be drawn of the map or removed from it. 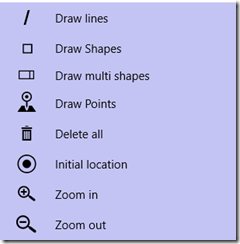 If you change properties within the individual objects after binding and drawing, for instance the color, those will not reflect on the map - you will have to replace the object in the list. This article comes not with one but two samples - it's amazing Mike! ;). The first one is actually in the code on GitHub and you can find it here. The drawback of that sample it that it actually requires you to compile the whole library as it uses the sources directly - it was my own test code. So for your convenience I made more or less the same solution, but then using the NuGet packages. You can find that here - it's an old skool downloadable ZIP file as I don't want to confuse people on GitHub. Both solutions work the same and show the same data as in an earlier post where I described the multipolygon feature first. A little word of guidance – after your start either demo app, first go to the ellipses on the right, tap those and hit “show area”. That will bring you to the right location to show all the features that this app can draw. I hope that this little library is as useful as its earlier incarnations proved to be. I have actually utilized the wp8.1 version in one of my own apps, I know there is a good chance of more apps are using it, and also that some Microsofties are actually recommending it ;). I hope it's useful for you. Let me know what you think about this. In the mean time, happy mapping! I just released my open source library WpWinNl to 3.0.2-alpha (that is, pre-release) to NuGet. WpWinNl now supports Windows Phone 8, Windows Phone 8.1, Windows 8.1 and the new Universal Windows Platform. All the basic libraries are updated to the latest version. There is a sample application for WpWinNlMaps in GitHub that I will explain more in detail in a follow-up post. Make sure that if you have a look at the code, take the UWP branch. Apart from WpWinNlMaps, this has not yet been extensively tested, hence the pre-release designation. No attempt has been made to share code between UWP and the earlier incarnations of these packages. 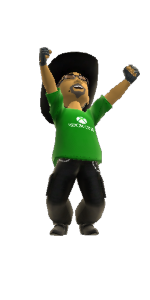 Effectively I have ceased working on wp8/wp81/win81 code, as of now only the UWP code will move forward and at one point in time these packages will stop supporting them at all. Parts of this library, especially the behaviors, may be removed entirely and end up in the Microsoft Behaviors NuGet package. However, for the time being, I think especially the map binding is pretty important, so is was time to release it. Any feedback is welcome. Payload file 'C:\Users\joost_000\.nuget\packages\WpWinNlBasic\3.0.0-alpha\lib\uap10.0\WpWinNl.External\Properties\WpWinNl.External.rd.xml' does not exist. 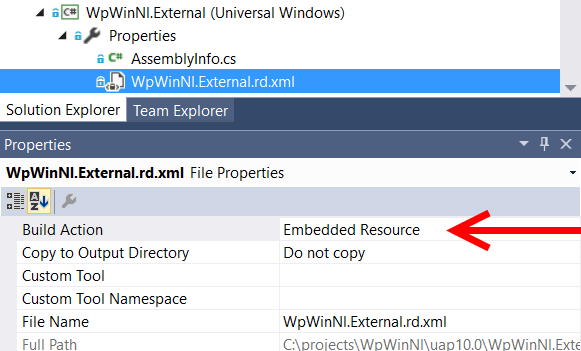 just change the "Build Action" of the missing rd.xml a Build Action to "embedded resource"
Ironically, Pedro gave me this pointer when he made a pull request to the newly open sourced Behaviors library for Windows 10 UWP apps that I help to manage. Here rd.xml files were pulled into the package by file - kind of like I was doing it first, in stead of using the embedded resource way. Which goes to show that this knowledge isn't very common and apparently not even clear to developers within Microsoft - and this is why I decided to write this little post to make the solution to this problem easier to find. In his pull request Pedro points to this article on the .NET blog from May 2014 where there is actually something written about including the rd.xml file as a resource, but it 's like an aside, with no actual indication the file actually has to be there in a NuGet package, whether you are actually using it or not. As to the actual functions of the RD.xml file, that's in the .NET blog article. Be sure to read that when you are planning to use reflection. I hope Pedro will indeed find some time to write some more clarification on this, as he seems to be planning to do. Update - Pedro tweeted in a response to this article that you apparently can also delete the whole rd.xml file from your project, and then it will work as well. So that makes three possible ways to solve the error. 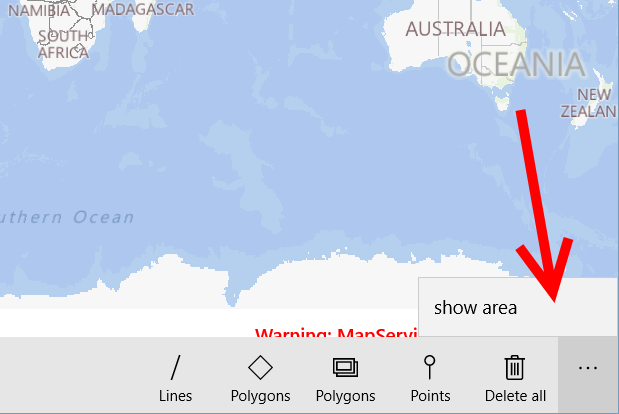 November 30th was the day a long standing wish of me came true - Windows 10 Universal Windows Platform gets on par with some professional geographical information systems. 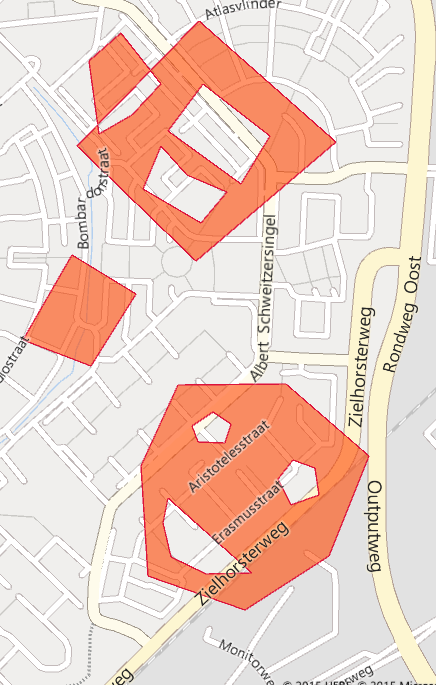 As of SDK version 10586, you can draw polygons with holes in them on the map (we GIS people call those 'donuts' - remember this term if you want to sound like a smartass educated in the GIS area) as well as multipolygons (single map objects consisting out of multiple disjoint shapes. What I mean by this, can be seen on the right. On this map are actually only two shapes. The 'smiley' on the bottom is one shape, and rest is actually also one shape. To achieve this, the maps team have extended the MapPolygon. This type, that is used to draw polygons, already had a property Path of type GeoPath. Now it has a property Paths - plural. This property is of type IList<GeoPath>. The smiley exists of four of these GeoPaths. The first one is the outer shape, the second, third and forth one fall on top of a shape that is earlier in the list, and thus creates a hole. You can get some pretty interesting side effects as you look a the top shape - if you draw a second or later path outside of the first shape, you just get a second shape. But for the map, this is one object and if you click on it you will get the same text. Even more interesting is drawing a second shape partly on top of an earlier shape - the overlapping part becomes a hole, the rest just a filled shape. Other possibilities are drawing a shape, on top of that a smaller shape (creating a hole), inside the hole an even smaller shape (that will be a normal shape again), on top of that an yet even smaller shape - that will create a hole... etc... and so you can create rings. The odd shapes are shapes (when you start counting with 1! ), the even shapes holes. That is all there is to it. This is a very important for when you are are drawing things like zoning permits, buildings with an inner garden, parking areas in cities (where the fee increases when you come closer to the center), so they are basically rings in rings in rings - etc. - anything were less-than-trivial mapping is concerned. And it's very easy to use now. 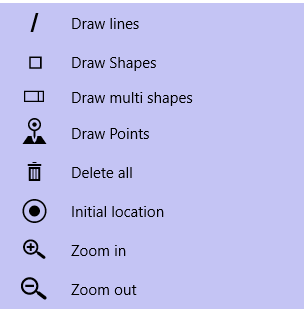 And of course, all this goodness can be used on Windows 10 mobile as well. Enjoy mapping!